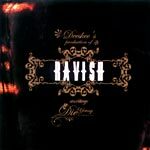 Here it is, after over a year and a half of work, Die Young of the Shapeshifters & Deeskee bring their masterpiece, Ravish. This album is a must hear and probably the best work either of them has done thus far! Amazing.